June Mar Fajardo and the Beemen take on Calvin Abueva and the top-seeded Fuel Masters. A NEW chapter, a new beginning for San Miguel. 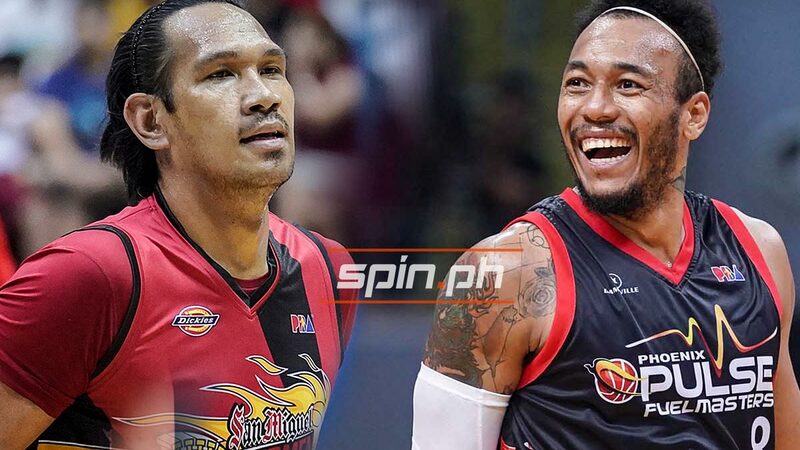 Getting a new lease on life, the Beermen now battle no less than top seed Phoenix Fuel Masters in their continuing quest for a historic fifth straight PBA Philippine Cup title. The Fuel Masters-Beermen semifinals series begins at 6:30 p.m. on Saturday at the MOA Arena. The Beermen have hardly time to rest after being stretched by TnT Katropa to a deciding Game 3 of their quarterfinals series last Wednesday. With the Fuel Masters, they face a young, gritty team out to prove themselves in their first ever semifinal stint in franchise history. Phoenix has San Miguel's numbers after beating the reigning four-time champion, 96-93, in Panabo, Davao in their lone elimination-round encounter. That win clinched for the Fuel Masters the No. 1 seed in the playoffs, also a first in franchise. "Phoenix is not No. 1 for nothing," said coach Leo Austria. "They beat us in the eliminations." "But I think we have a good chance to get to the next step, to defend our title." Phoenix counterpart and provincemate Louie Alas would not dare dispute Austria's claim. "Four-time defending champion," he noted. "Facing SMB is like facing the national champion. Ganun sila kabigat at kalalim." Also not lost in Alas is the absence of sixth man Christian Standhardinger when the Fuel Masters beat the Beermen. "Injured si Standhardinger nun," he said of the 2017 top rookie pick. Standhardinger has since returned healthy and even better. In the series clinching win against TnT, the Fil-German big man had 17 points and 12 rebounds while going 8-of-9 from the field in complementing June Mar Fajardo's perfect 11-of-11 shooting from the field.